Verdejo is a white-wine grape originating in the Rueda region of Spain, though possibly brought there from North Africa in the 11th century. It was long used for making sherry-like oxidized wines; it was only as recently as about 40 years ago that white table wines of Verdejo began to emerge. It is today used in blends, but also frequently made as a monovarietal bottling. Spanish wines labelled Rueda must be at least 50% Verdejo; if the label more explicitly says Rueda Verdejo, the Verdejo content must be at least 85% and is often 100%. Verdejo makes a fairly full-bodied wine. In many descriptions, it is a soft, rounded, almost creamy wine, with a full nose and flavor; qualities such as "honeyed" and "nutty" are often heard in descriptions of the taste. On the other hand, not a few descriptions are rather different, emphasizing tartness, acid crispness, minerality, and definite citrus notes. Clearly, there are significant variations in winemaking style for Verdejo, and one needs to decide which style best meets personal preferences (though both might well do so). One style clue is if the label description referes to lees contact: if so, it is likely to be the softer, creamier style. Two other taste notes: a taste often mentioned for Verdejo is fennel, which is a mild anise flavor; also, many descriptions refer to a slightly bitter finish, which is seen as varietally characteristic and desireable. Factoid: Verdejo seems especially prone to oxidation; modern winemaking techniques have much reduced the scope of the problem as the wine goes into the bottle, but it is still possible to find the occasional oxidized bottle if reasonable care was not taken at all stages of transportation and storage. "Verdejo wines are aromatic, often soft, and full-bodied." "Verdejo in Rueda is consistently good, regardless of the producer; but consistency of style for Verdejo remains unachieved. Some Verdejos are crisp and grassy like Sauvignon Blanc, while others are richer and textured like an unoaked Chardonnay." 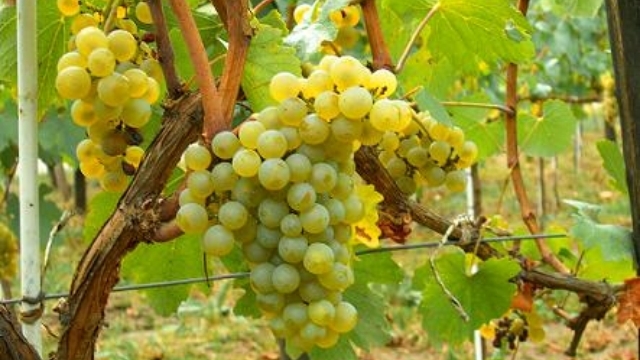 "Verdejo wines are high in glycerol and acid, sometimes taking on nutty flavors as it ages. It can be aromatic and herbaceous at its best, and is usually consumed young, within a couple of years of vintage. Some of the finest, best-structured examples, however, are worthy of short-term or mid-term cellaring." "Typically Verdejo dominated wines are crisp with soft, creamy, nutty overtones, and sometimes accompanied by notes of honey. Arguably Spain's finest white grape variety." "It has a unique flavour, with a hint of scrub herbs, a fruity touch and an excellent level of acidity. The extract, a key factor when assessing the personality of great white wines, is perceived through its volume and its characteristic bitter touch, which leaves a glint of originality in the mouth, accompanied by a rich fruity expression." "Similar in style and characteristics to Pinot Gris, Verdejo fully expresses itself in the high altitude of Rueda where it showcases lemon and citrus, minerality and above all, a sharp acidity which makes it compelling with the tapas so that are so ubiquitous around the region. . . At its best Verdejo is sharp and clean with lemon and lime notes, a backbone of minerality and a potent acidity. 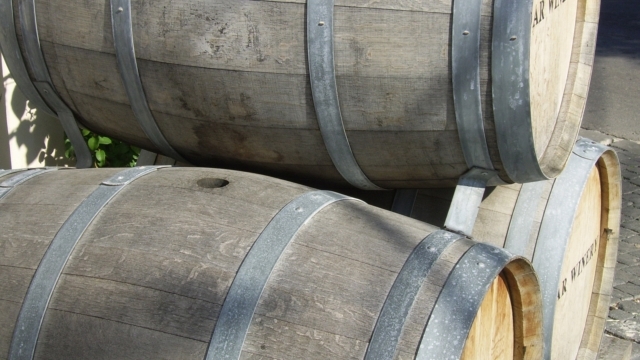 That may sound simple, but crafting excellent wines is not a simple process. It was also clear that many producers are trying their hand at a barrel fermented version and the results are less than spectacular. Verdejo is best when left alone and the inherent qualities are not interfered with. " "Like its Spanish sisters, albarino from the Rias Baixas region and macabeo (known as viura in the Rioja region), verdejo makes a terrific food wine. Its citrusy notes and aroma — very similar to sauvignon blanc — play particularly well with the composed salads and simple grilled foods of summer." "Verdejo is a fascinating grape, with great freshness and acidity balanced with rich body and notes of citrus, minerality, and melon. You may think of Spain as a classic Mediterranean country, but this high plateau is a classic continental climate with long cold winters, short springs, and hot summers. These high elevations, between 2500 and 3000 feet) allow the late maturing Verdejo grape to develop deep aromas and flavors. The result is a climate that makes dry, fresh wines with real character and brightness." "Verdejo produces full-bodied, yet crisp wine with a rich, nutty flavor. " "Today’s young white wine is green-yellow in color, with an intensive fruity bouquet (gooseberry, green kiwi, passion fruit, citrus) flowery to dry (herbacious), quite juicy in the palate with harmonious body and intensive fruit aroma." "Light-bodied and crisp, these wines smell like a big bowl of citrus and green apples. They're as delicious alone as they are with food." "Jancis Robinson, in her Vines, Grapes and Wines has this to say about Verdejo: 'Of all the white varieties among Spain's official top twenty, Verdejo is probably the one with the most discernibly aristocratic character.'" "So, Verdejo has had to sit out the last few hundred years on the sidelines, waiting for modern technology to treat it properly. 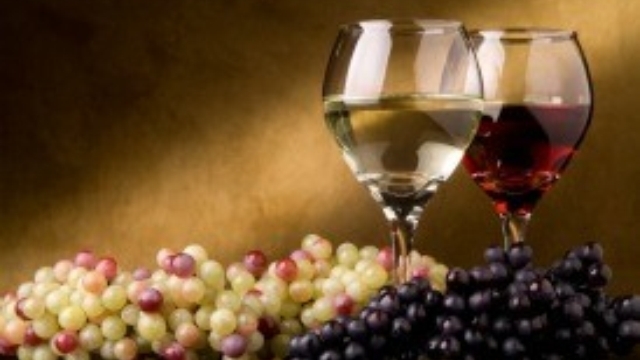 We are so lucky that we can now enjoy fresh, lively wines from this wonderful grape. If you are not familiar with Verdejo, do dedicate a little more of your summer drinking to it, there are some splendid examples around and they all give great value for money. Stylistically Verdejo leans towards Sauvignon Blanc, so should appeal to the great majority of wine drinkers." There is a myriad of reasonably priced Rueda Verdejos out there, and a great many have at least some critical recommendation. The ones shown below seem to be best rated by reviewers, though it may all be a matter of idiosyncratic tastes. Do be sure any Verdejo you buy is of a recent vintage, preferably the most recent on the market. Some do age, but the decision should be yours, not the retailer's. 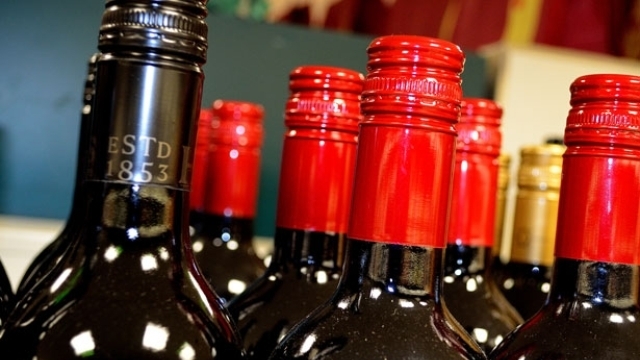 ♣ For some unfathomable reason, some places list the vintner as "Bodega Burdicala"; beware. ♦ [O]ne of my favorite wines for Summer. Fresh and fragrant / floral and fruity with hints of herbaceousness. ♦ Minerally, slightly dusty apple aromas lead into a well-balanced palate with body and zesty acidity. Peach, green melon and white-pepper flavors fade out on a pulpy finish with good acidic cut. 89 points. ♦ Verdejo is generally meant to be consumed within a year, maybe two (though yes, that can vary). And a lot of what we’re currently able to get in the States isn’t the youngest (you’ll see more 2014 than 2015) but that doesn’t mean your bottle will be lacking. A moderate minerality and even a slight herbaceousness, amplified by notes of grass and splashes of lemon/grapefruit. Not that it’s all steely here; there’s a core of soft orchard fruit that will keep things lushly medium-bodied. ♦ The Naia, though, has another goal in mind: A wine that is more than passable but not costing much more than the usual verdejo. In this, it succeeds. The Naia 2015 is a softer, more round version of verdejo, with white fruit (peach?) to go with the usual lemon, and the lemon is not nearly as pronounced as usual. There’s also an herbal something or other going on that rarely shows up in verdejo. Hence, the wine isn’t as straightforward and obvious, but less tart and more balanced. Highly recommended, and a candidate for the 2017 Hall of Fame in a year when the candidates that actually cost $10 are few and far between. ♦ The Nisia is a refreshing wine but balanced nicely. Refreshing wine usually has high acidity; the Nisia is just in perfect balance…A full aroma greets you right out of the glass; tropical and garden-fresh delights; lemon and other citrus flavors; a sufficient mouthfeel; very enjoyable on its own, no food required. Excellent choice as an aperitif. Just a great change-of-pace white wine. 90 points. ♦ Apple, peach and melon aromas are clean and fruity. The palate on this Verdejo is melony, which matches the wine's melon and papaya flavors. On the finish, a note of apple cider is detectable. Because of moderate acidity and some flab, it's advisable to drink this now. 87 points. ♦ The result of this care and effort is a medium bodied, crisp, and delightful white wine. You can smell this inviting wine the moment you put it in your glass. Floral and fruit aromas combine evoking pineapple, honey suckle, mango, coconut, and ripe pear. It follows through on the palate providing great fruit notes such as white peaches, pineapple, and lemon, with surprisingly high acidity and a lingering finish. ♦ Yellowish with a green hue in the glass. What a nose on this beauty! Intense grassy, grapefruit aromas. This one is immediately fresh, crisp and vibrant on the palate with bright, zesty lime flavors over a stony, mineral backbone. Passion fruit emerges on the mid-palate and remains throughout the dry, refreshing finish. This wine isn’t shy. It will smack you over the head and you are going to like what you get. The firm acidity here makes this one a compliment for nearly any food (ceviche would be my first choice). It is also perfectly suited to drink on its own. Pair with a sunny day! I’m getting me some more of this one. Viva Verdejo! Rating: Wow! ♦ This winery consistantly delivers an excellent, pure Verdejo under it’s eponymous label. This features strong aromas of nettle, passion fruit and green apple. The palate feel is a blend of zest and roundness, while flavors of citrus, grapefruit and green herbs precede a long finish. 90 points. ♦ Verdejo is a nice-guy wallflower, a pleaser in search of its crowd. But what’s not to love? This drinks like a $30 New Zealand Sauvignon blanc, flush with turbinado-sugar-sprinkled pink grapefruit. Spine-tingling acidity serves as scaffold for a fleshy middle oozing ripe white peach. Both elegant and plain-ol’ thrilling, like that guy/gal whose presence lights up a room upon entry – but who also turns out to be charming, intelligent and life-affirming in conversation later on. Next time you have friends over for fish grilled or fried, open this and everyone’s eyes will open a bit wider. View: Yellow Straw. Nose: Fruit - Grass. Palate: Creamy-Unctuous. 91 points. ♦ [Google-translated from Spanish:] The result is a classic Verdejo showing straw yellow with greenish iridescence and aroma medium to high, discreet, without fanfare intensity, but fine and persistent, with hints and notes of stone fruit, fresh fennel and a mineral background. The palate is fresh and fruity, but behind its cheerful serious taste hides great, tasty and unctuous wine full entry feelings. In short, a young, complex and sophisticated wine that combines perfectly with smoky, soft cheeses, ham, fish and seafood. ♦ [Google-translated from Spanish:] The result is a Verdejo showing a bright, bright straw yellow color with greenish reflections. Intense and pleasant aroma invites you to learn more notes of white flowers, quince, dried herb and anise. Its entry into mouth gets surprised by his sense of pleasure. Sweet, fresh, fruity with hints of pear and apple filling mouth and gets to stay for a long time in perfect balance. In short, elegant wine, very fruity and very fresh, with the best value. ♦ Grassy aromas along with capsicum, nettle and green fruit aromas are pungent and exciting. The palate is spritzy and lively, while the flavor profile balances sweet, candied green fruit flavors with more driving, intense tastes of lime and green melon. Forward, fun and elevated; drink now for ultimate freshness. 90 points. ♦ With a bright nose of spice, kiwi, peach and spring flowers, this medium straw-colored wine delivers tropical fruit consistently on the palate from the start to its long finish. A perfect balance of fruitness and vibrant acidity, the wine has a heft to it provided by the aging of 40% of the juice in French oak. More subtle than American oak, this accounts for some of the 'baking spice' notes. ♦ [Translated from Spanish:] We love the fruitiness of this Verdejo, as it stops short of being aromatically over the top. The old vines (a few centuries old) from Segovia from which it is made give the wine volume and smoothness on the palate. An elegant and very balanced white. Score - 91. ♣ International Wine Cellar (September 2011), 90 points. ♣ Wine Advocate (date unknown), 91 points. ♦ Bright, green-tinged straw. Intense green apple, pear skin and lime aromas are complicated by white pepper and herbs. Taut and refreshingly bitter, with attractive herbal and mineral accents to the ripe citrus and orchard fruit flavors. Finishes clean and long, with an echoing peppery note. ♦ Pale gold. Musky pear and pit fruit aromas are complicated by suggestions of honey, minerals and anise. Shows a suave blend of richness and vivacity, with a note of bitter lemon pith accenting deeply pitched orchard fruit flavors. Shapely and supple in texture, finishing with noteworthy length. ♦ Stony aromas of nectarine and peach are the opening. This feels round and melony, with creamy melon, papaya and banana flavors that scream tropical more than mineral. A honeyed finish is sweet initially, then pithy on the close out. 87 points. ♦ We decided to pair our light and creamy cheese with the 2009 Shaya Old Vines Verdejo. This Spanish wine was well-deserving of its 91 point rating. It had a pleasant aroma of citrus (particularly grapefruit and lemon) and a hint of honey. Those same notes of citrus and honey were on the palate after a slightly sweet start. It was light and bright with a nice, crisp finish. It also had a bit of creaminess that came out when paired with the fresh Asiago. ♦ Despite recent criticism about Rueda's cheap Verdejo, 2014 was a great vintage in the region so consumers who come across serious producers will be rewarded. This wine, made by Rioja's Martínez Bujanda Family group, is excellent. Yellow colour with greenish hue. Fresh and well-defined fruit aromas (citrus, lychee, subtle passion fruit) followed by a lively, citrus, mouth-watering palate; fresh and nicely balanced. 16.0 points. ♦ Color: Lemon yellow with green frosted twinkles, clean, bright and very glyceric tears. Nose: Clean aromatic ensemble, with high intensity. The notes of apricot, peach, fennel, green almond shell, anise seed, fresh fruits (lychee, grapefruit, green apple) show up. Recalls to fresh cut hay and light smoke touches mixed with mineral notes. Palate: Velvety and silky entry developing to great volume and structure. The balanced acidity gives freshness and nerve. Long and tasty, fruity aftertaste, with an aftertaste sensation even more intense than in the nose phase, sowing up the recalls of fennel and anise seed. ♦ Oily aromas of citrus blend with leesy notes on a jumbled nose. This lacks freshness, while uncommitted flavors of lees and vitamins are slightly oxidized. Bitter citrus and pithy flavors control a finish that falls flat. 83 points. From the sea of Verdejo wine out there, it is hard to pick a real standout, but what may come closest is the Bodegas Shaya "Habis" Old Vines Verdejo.